For Round Eleven of the Postmark’dArt swap, I chose the Themes of Petroglyphs/Rock art, and Gates as the themes I would deliver. 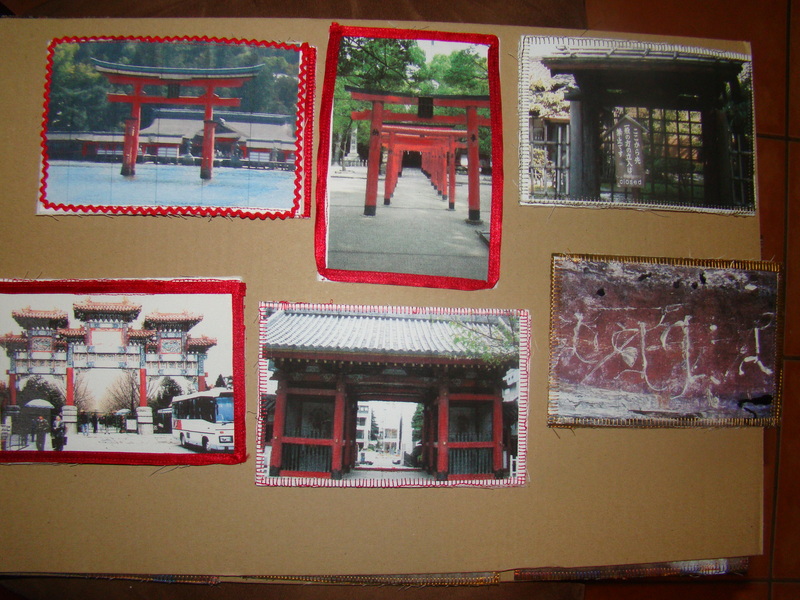 These photos were printed on Gesso prepared Artist’ canvas and touched up with Ink Intense water colour pencils. anyone want to do a swap? 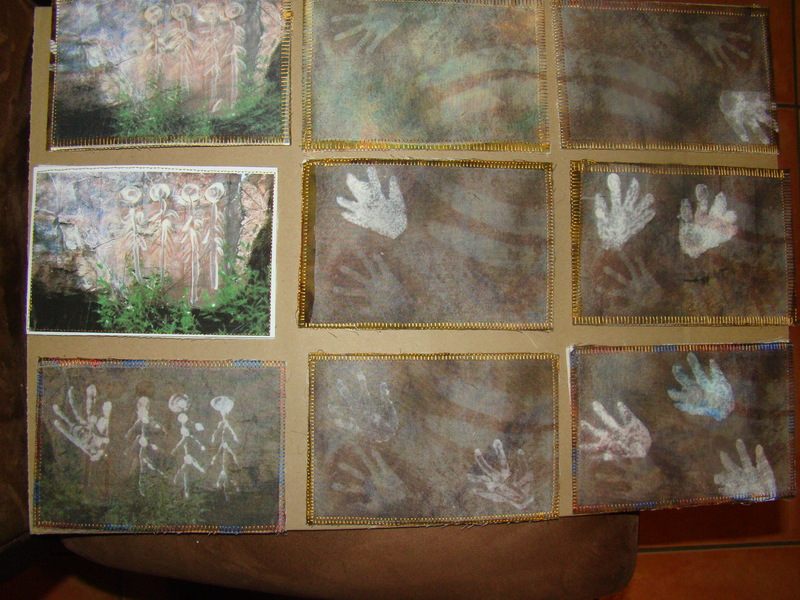 With the theme of Petroglyphs/Rock Art………my thoughts turned to the north western area of Australia where I found examples to interpret. I felt that I would not offend any one if I stayed with basic figures rather than the mythological figures of the Dreamtime. Now it’s time to tackle the themes of “Landscape in one colour way” and “Water”, and then, maybe I can finally complete the quilting necessary to complete my “Firestorm” quilt.